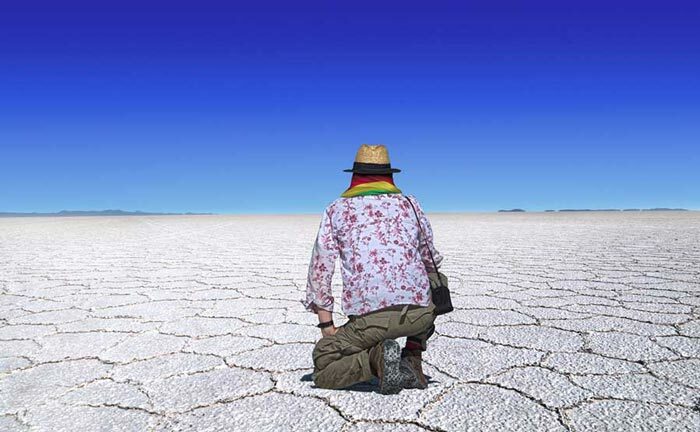 The Salt Flats, or Salar, of Uyuni are the largest salt flats of its kind in the world and are a breathtaking natural vision. 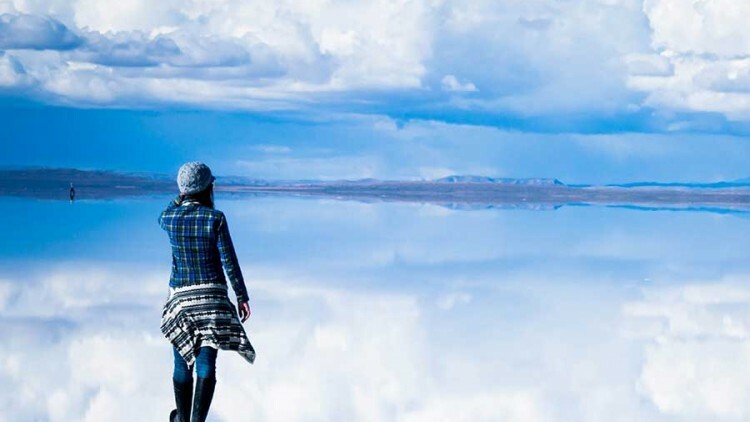 The blank, white expanse covers at an area of more than 4,054 square miles, and has come to be known as Heaven on Earth – a name that hints at the way in which the sky reflects on the salt flats’ glass-like surface. 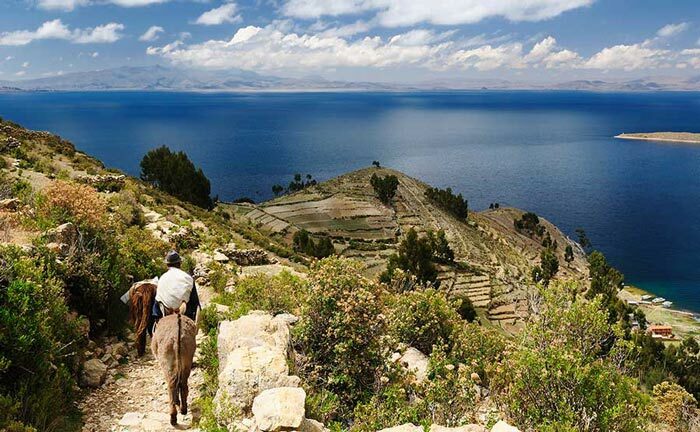 Unique and endlessly intriguing, the flats are set an attitude of 12,000 feet above sea level and are quite unlike anywhere else on this planet. 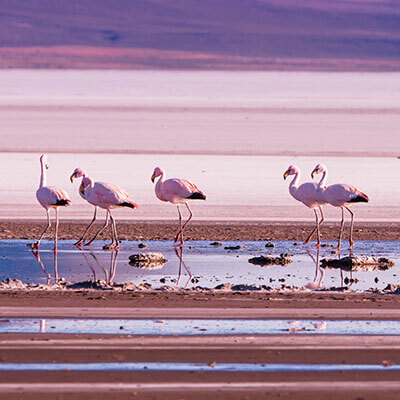 They were formed by a prehistoric desert lake that dried up about 13,000 years ago, leaving behind a solid and flat layer of salt and minerals. 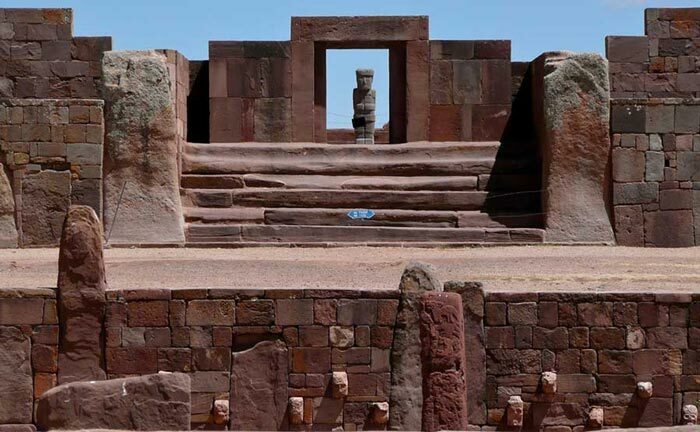 According to Aymara legend, the salt flats are made of a mixture of breast milk and tears, which came from the giant-turned-mountain Tunupa as she mourned after her husband forsook her. 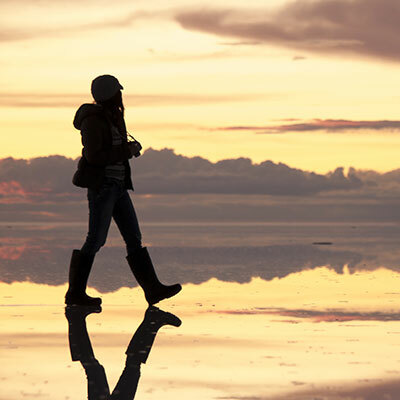 Make sure your camera batteries are fully charged before you embark on a luxury tour of the Uyuni salt flats; you won’t want to miss the one-of-a-kind photo opportunities afforded by the vast nothingness of the plains. Play around with forced perspective photos or simply soak up the vistas. The views are particularly surreal when the bright ground becomes wet and reflects everything above it, just like an enormous, never-ending mirror. 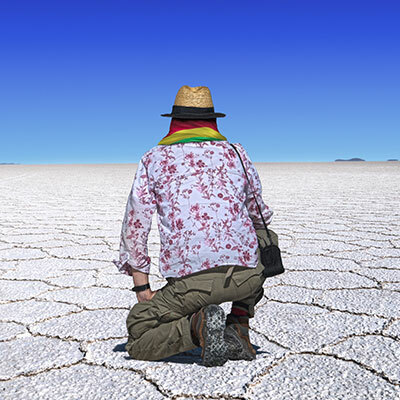 Looking toward the horizon, it can be hard to tell just when the salt flats end and the sky begins. 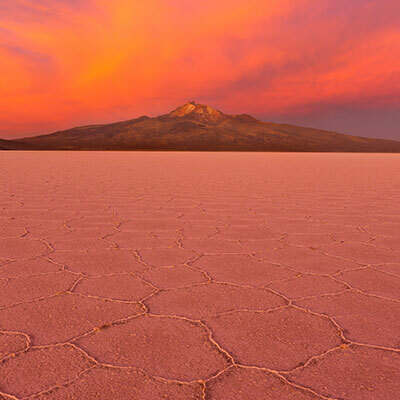 Sunset and sunrise are particularly eye-catching, as the sun casts different shades of red, orange, pink and purple onto the stark white ground below. 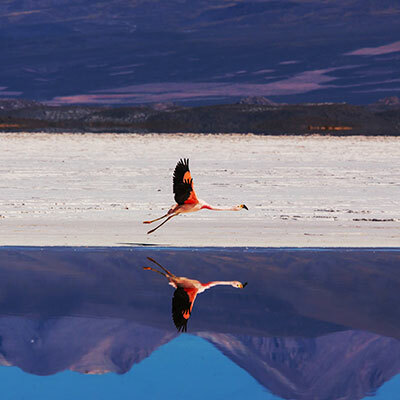 For travelers embarking on a customized tour of Bolivia, this unique sight is an experience you’ll never forget.